Quite serious looking there, 501st. Well, if it gives me more of Trude using guns as sledgehammers, that's fine by me. - There will be three eps. 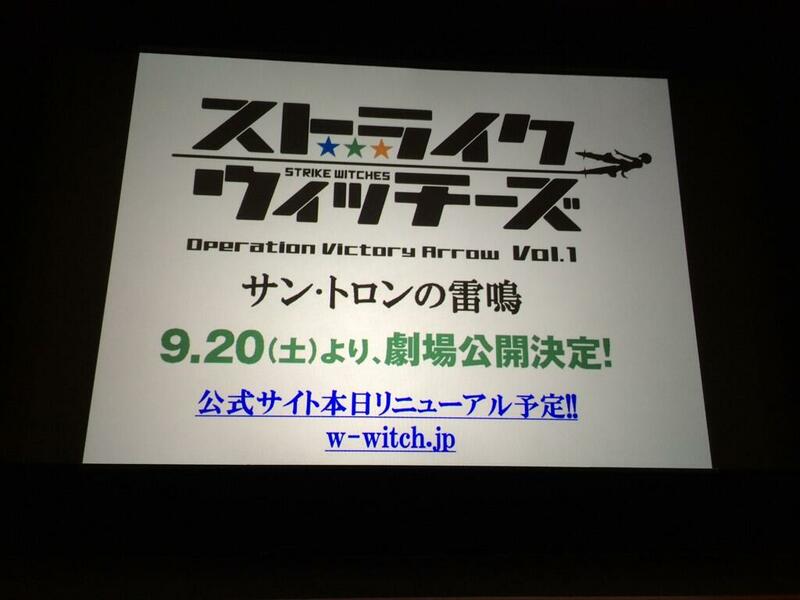 - It will cover the time period between the end of Strike Witches II and the official movie. - It will focus on the individual witches of the 501st returning to their homes. - It will "commence in the Fall". Okay. That is nice to know. 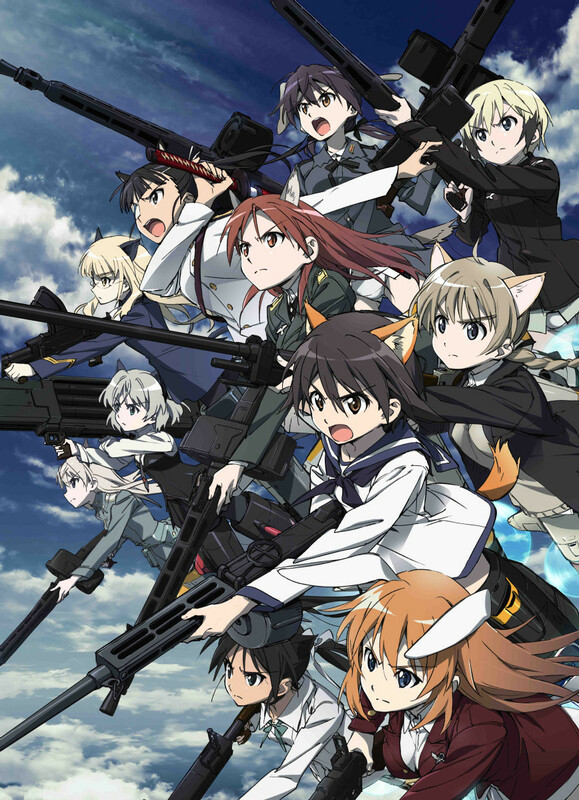 Still no follow up info about the third season of Strike Witches announced on the site yet then, but perhaps the OVA eps will hint at more details? Well an OVA isn't the worst thing. I kind of wonder which witches will get more focus in these OVA episodes. Hopefully everyone except Yoshika since she had more than enough focus in the movie. I wonder whether or no the OVA series might not also be an opportunity for a little world building setting wise? Certainly a good chance for that. If it's focusing on these characters heading back to where we found them in the movie could be a good chance to world build. Not likely to have much action since it sounded from the movie that things had gone dormant after the last big battle up to when things got busy in the movie. Wouldn't mind getting a better view of things. Please don't tell me you're looking for a reason why the girls have no pants. You like Saki, you should know better, even if fanservice ain't your thing. It certainly could help letting us know a little more about how the world works, and the series as well, different team, different locations and all, a wider scope. I guess what I was referring to is a bit more details wise on the current state of affairs in relation to the other Neuroi hives scattered across the planet and the countries proper that are cut off from one another to a large degree as a result. Season 1 focused on Britainnia (England) and Gallia (France) for example. Season 2 on Romangna (Italy). The movie focused on the borders of the Rhine river. But there are other parts of the world suffering as well. Of the two light novel series the first one focused on Suomus (Finland / northwest Russia borders). In season two we had some focus on the squadrons in Africa too. And even from the members of the 501st we hear of other places in passing: Orussia especially seems to be cut off to a large degree, which feeds in to the eps focusing on Sanya, and of course Karlsland has not gotten as much attention as I personally might have expected. Anyway, hearing more about the current state of affairs of those countries and their inhabitants in relation to the Neuroi would be interesting for me personally, but also could contribute to enriching the setting and possibly setting the stage for S3 as well. Yeah when it comes to world building and personal preference, I'd like to narrow in on Eila and Sanya a little for one of the OVAs. That seems like a place mostly untouched by the anime to this point. I mean we have a good idea of France's situation, Italy, and Britain, but plenty of areas that could get focus. Of course pure selfishness in just wanting more of Eila and Sanya since I like the characters . Somehow I can just see the OVAs being relatively tame fanservice pieces that don't really dive into the world building, but one can always hope. I have been wondering whether or no the material that will be used for S3 will be from the first of the light novel series that focused on Suomus (i.e. 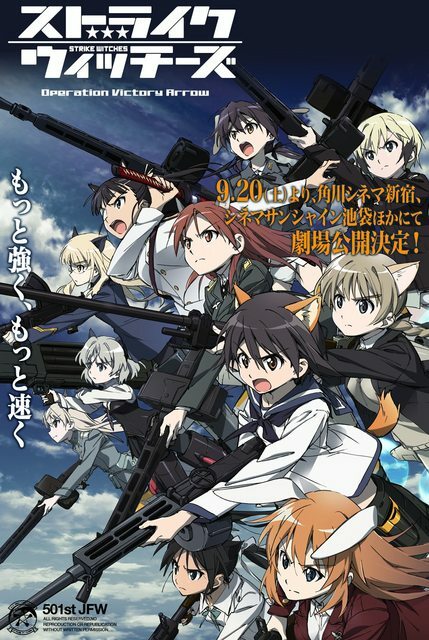 the "Suomus Misfits"), but if I remember correctly that takes place chronologically before the events of the Strike Witches anime series (who are the focus of the second light novel series, I believe). It would be interesting to go backwards chronologically and then sprinkle info of the "earlier" world events mentioned in the already aired anime series (and mayne even the charas - like Trude and Minna and the conquering of Karlsland, for example), but I kinda think (just a guess) that the series will either parallel or continue on chronology wise in a different country setting. If they do choose Suomus then we may get to hear more about Sanya, Eila and the state of Orussia as well, but I think it might be kinda interesting to hear more info about countries not touched on at all - like Ostmark, Hispania or Baltland. Does anyone know about the time gap between S2 & the movie.? I understand everyone's enthusiasm, but in my experience, when SW has potential for something, it doesn't use it very well, unless it involves ways to make you love the girls even more or have them wreck Neuroi in the most awesome way possible. I'm honestly still doubtful we'll be checking a different group. I'll be keeping my hopes in check till more info comes out. Silver Link is a great choice for SW, being a studio that has worked with a mix of action and fanservice before (Prisma Illya, Strike the blood, C3) as well as comedy with quirky characters (Baka test). Just add a decent staff and a budget bigger than zero and it should go just fine. I find hilarious how the girls are preventing the others to show off their lack of pants .